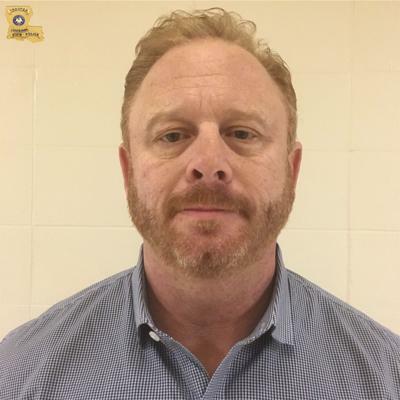 The top staffer at the Louisiana Tax Commission, Charles Abels III, has stepped down from the position he held at the agency for nearly a decade, following his arrest last month on charges of malfeasance in office, payroll fraud and maintaining false public records. In January, state police accused Abels, the commission’s administrator, of clocking into work and filling out time sheets indicating he’d been on the job when, in fact, he was out playing golf, shopping and getting spa treatments. He was also accused of using a state rental car for his personal use. Lawrence E. Chehardy, the chairman of the board of the politically appointed Tax Commission, says the state police investigation was launched last summer after the Louisiana Legislative Auditor uncovered troubling evidence in an audit of the agency that had been requested by the commission. Abels had been suspended since last fall. Abels is a well known figure in Livingston Parish political circles. His grandfather, Charles “Bubby” Abels, was the longtime tax assessor in the parish, a position the younger Abels, then just in his 30s, also held in the late 1990s. He was defeated in 1999, however, by current assessor Jeff Taylor, amidst adverse publicity regarding several DWI arrests. He was subsequently forced to resign—before Taylor could take office—as part of a plea bargain related to a hit-and-run accident with an assessor’s vehicle. In 2002, he was hired as a staff appraiser by the Louisiana Tax Commission. According to news reports at the time, Abels said he was a recovering alcoholic and was trying to turn his life around. He was named administrator of the commission during former Gov. Bobby Jindal’s administration. Last March, he was arrested again, this time on a domestic violence charge. No formal charges were ever filed, however, and sources familiar with the case say that arrest didn’t have anything to do with his suspension or the audit underway.